Émilie Chevillard is a french harpist and composer. 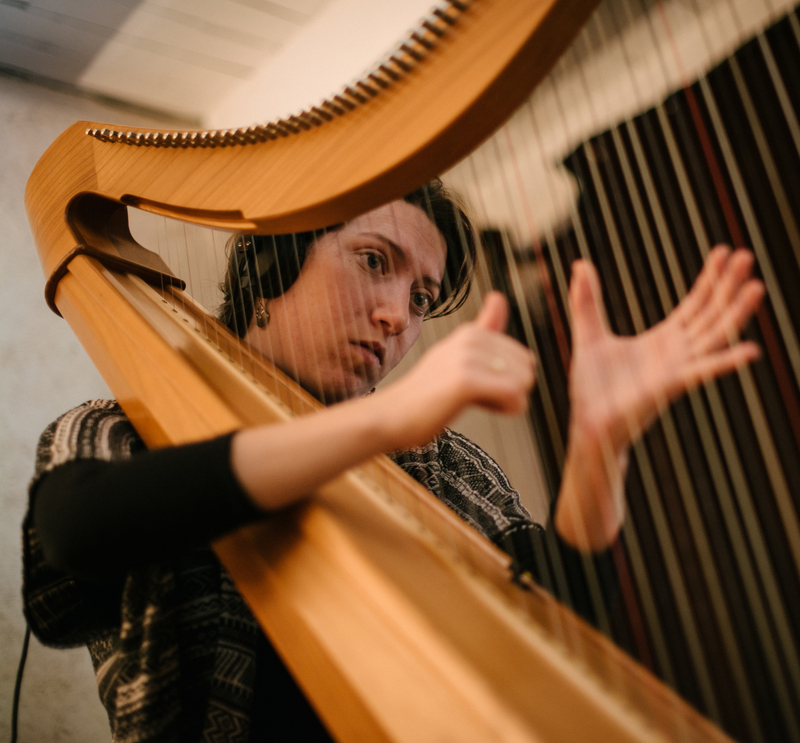 After having passed her degree in Traditional Music at the Conser-vatory of Nantes, her interest to improvisation and the opening to different style of music led her to learn the chromatic harp. This young instrument has been design by french luthier Philippe Volant a little decade ago and offers the possibility to have all the notes from the chromatic scale at disposal on one range. Émilie wan a price to develop this instrument in 2011. Since that, she has been exploring the new possibility of this entire-ly chromatic instrument and collaborated with several musicians on styles like Jazz and Improvised Music which were not so easily possible before. She has been developing concerts with Poetry, im-provised music duets with clarinetist Chloé Boursicot. She is the co-leader of Colunia quartet with Florian Chaigne and a member of the Collective Spatule from Nantes. She still plays in Traditional Music and takes part of several projects in Amplified Music.